Pens… those little writing instruments that are vital to any functioning business, school, or household. We need them, we want them, and we sometimes love them. A pen is something you’ll probably use at least once a day, and don’t we all have that special pen we desire so much? The one that writes so smooth, feels comfortable in our hand, and is always the first to be grabbed. If you think about all of this, pens should be your number one choice for marketing promotions! Here are 3 reasons why pens write success. Most cost effective option on the market. What exactly are promotional items for? Impressions. With a pen you get the most impressions for the lowest price. Each impression is going to cost you less than 1/10th of a cent (Institute, 2016). With the cost of these impressions so low, you may even want to spring in for a nicer pen, one that your clients are going to want to keep around for a while. So, whether your advertising budget is big or small, pens are going to grow your business without shrinking your wallet. We need them, and we want them. 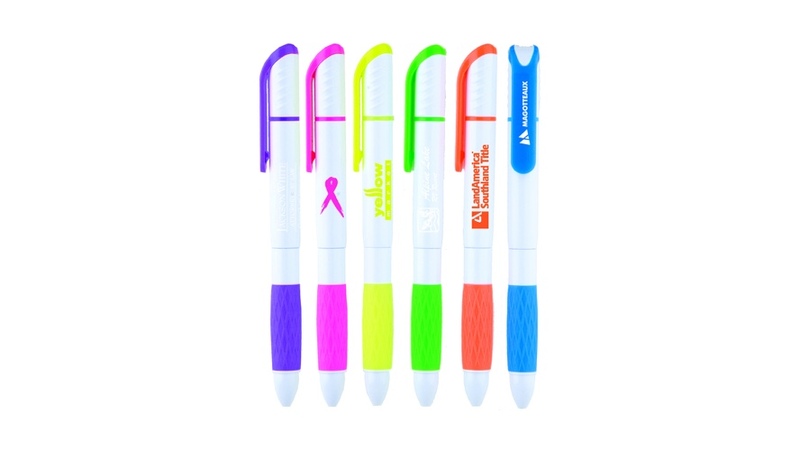 Pens are the highest selling promotional item according to Advantages Magazine, December 2017. There is a reason for it too, besides them being extremely cost effective, pens last awhile with their clients. Six months of your logo being seen and a constant reminder of the services you provide (Institute, 2016). Not only that, pens are of use to everyone, of course it’s why we always pick them up. With 93% of people saying they find pens to be useful objects (Institute, 2016), that makes pens the most useful promotional item! So, they may be common, and they may be ordinary sometimes, but they get your message out on an item that consumers want and need. So many styles to choose from. What are you looking for? Ball point or gel? Black, blue, or all the colors of the rainbow? Capped or clicked? With all these different options I am positive you can find something of your taste for both the business and your wallet. With the different styles available, you can set yourself apart from all the competition. Try getting a pen with a stylus for use on your phone or mobile tablet, or perhaps, get a fancy pen-highlighter combo! With all these options to choose from, pens make for a great promotional item to stand out against the competition at your next networking conference! Pens are a useful, low cost marketing tool. Besides not draining your wallet pens are used every day, lasts for a while, and comes in many different forms. Ready to write Success? Check out what options we have available, and start expanding your logo with pens, offered by Your Promo People.